As Christmas gives way to the New Year, here in January 2017 the winter fun just keeps ramping up. The millions of lights in Gatlinburg and Pigeon Forge continue to shine brightly, the trolley tours of the best lights continue, the snow comes down, the skiing heats up, and cabin deals abound with Half-Price offers on remaining cabins for those who can make a trip at short notice for a winter getaway. Winterfest in Pigeon Forge and Sevierville means millions of decorative lights, some in animated displays, strung everywhere and sparkling through the end of February. In Gatlinburg the story of Winter Magic is the same, featuring crystal-clear LED displays, and lasting through the end of January. What to see in the winter lights? Numerous displays of local wildlife feature in animations – squirrels, deer, foxes and rabbits, with of course bears here and there. And recently we see also dancing fountains, snowmen dressed up in costume, singing children and rocking horses. Trolley tours are a fun way to see the lights – gawking is easier when you’re not driving – and the drivers know the best places and the stories behind the sights. The trolleys are inexpensive, heated and enclosed, with many state-of-the-art features that make the area’s trolley system notable throughout the country. Pigeon Forge now features a self-drive tour of lights while Gatlinburg continues with its Winter Magic Trolley Ride of Lights. The trolleys are also very popular, so for the tours of the lights check for ticket availability because whole days can sell out easily. The Parkway strips in both Pigeon Forge and Gatlinburg are the hubs of activities and attractions, with The Island and Old Mill Square two favorites in Pigeon Forge for both shopping and enjoying the lights. For more details See our breakdown of the winter lights activities this winter: Touring the Christmas Lights of Gatlinburg & Pigeon Forge. 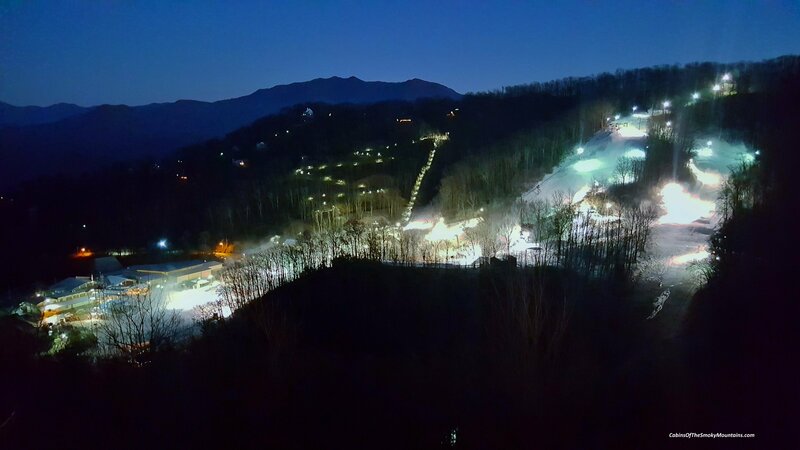 Meanwhile up on the slopes of Ober Gatlinburg, winter comes into its own in January and February as the serious snow starts to accumulate and the ski activities proliferate. From up here, the city lights below form a magical backdrop tot he rush of the slopes. Check out some of our write-ups about Ober Gatlinburg and stay tuned for this season’s events as they unfold, all the way through Easter 2017. What about those cabin deals? 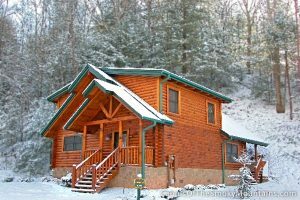 At the time of writing Cabins of the Smoky Mountains is offering all remaining cabins at HALF-PRICE through the weekend of January 22, 2017. These deals happen frequently, and usually at pretty short notice, so it pays to keep an eye on the Specials page – and chat with us directly from the website, or call us anytime at 855-91-SMOKY. 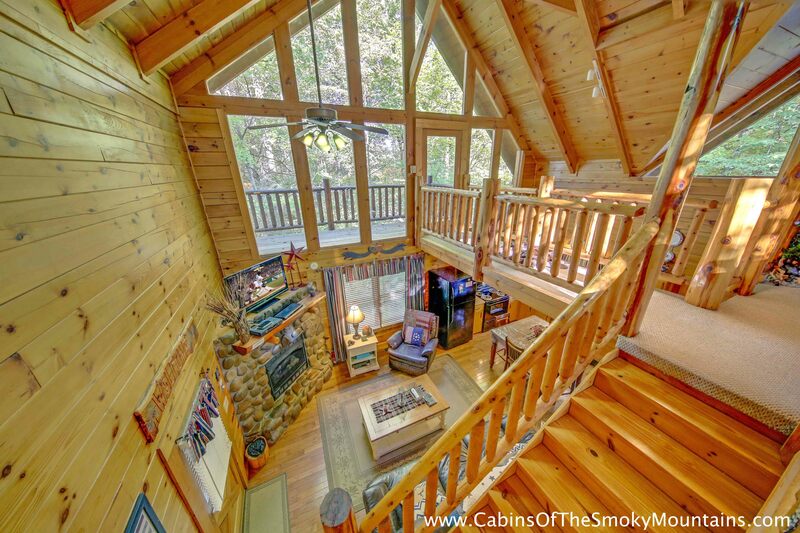 Our specials apply to our Gatlinburg cabin rentals and our Pigeon Forge cabins – the whole area. So come and explore the fun of winter in the Smoky Mountains – by the fireplace of your luxury rental cabin!